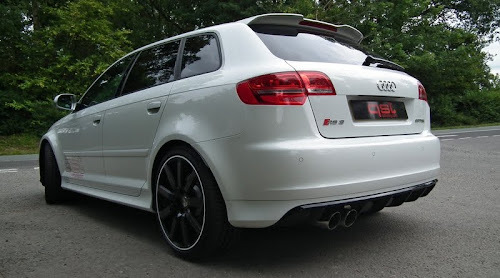 Milltek Sport has recently been working on a new exhaust system designed specifically for the Audi RS3. Though still a prototype, fellow UK-based tuning firm, QS Tuning had the opportunity to bolt on Milltek's new piping and have a go. In addition to the exhaust, QST's RS3 project also sports an MTM ECU re-map and black MTM Bimoto wheels. Check out the video after the jump (you may want to crank up your speakers a bit).